Viroflay, France, 17 November 2014 – In the high octane world of Formula 1 racing, speed is everything, with glory reserved for the first driver past the chequered flag. For food and pharmaceutical manufacturers, reaching that finishing line fast, and most importantly safely, is also of critical importance. 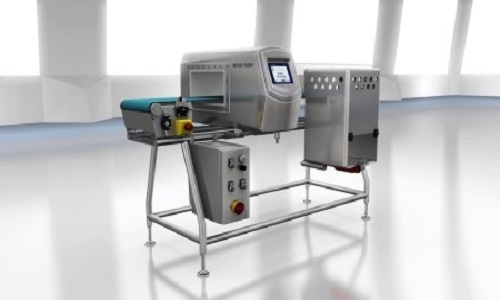 At this year’s Emballage (17-20 November 2014 in Paris), visitors can experience innovative new product inspection technology that can turbo-charge their operations on the Formula 1 themed Mettler-Toledo Product Inspection booth (Hall 5a, Stand D035). “As food and pharmaceutical manufacturers continue to look for ways to enhance their productivity, our latest innovations support them in enabling high throughput rates rather than slowing down production processes. With our Formula 1 themed booth at the Emballage trade show, we want to make manufacturers aware of the speed that our state-of-the-art technology can facilitate, while providing optimum product inspection and safety regulation compliance”, explained Eric Bertrand, product manager at Mettler-Toledo France. There will be new launches in metal detection, x-ray inspection, checkweighing, vision systems and management information system software on view, as Mettler-Toledo demonstrates how manufacturers can consistently produce high quality, safe products at high throughput rates. Profile Advantage – a new metal detector that offers 50 per cent greater detection sensitivity than standard systems, enabling manufacturers to find more metal in challenging applications such as wet, warm or chilled foods by virtually eliminating the false electrical signal that foods with high moisture or salt content emit. Tablex-Pro – a metal detection system that allows pharmaceutical manufacturers to strengthen compliance while improving product safety and productivity. It has a unique Condition Monitoring feature that continually assesses the system’s performance and provides advanced warning of problems that could potentially cause downtime. X33 and the X36 Series – part of Mettler-Toledo Safeline X-Ray’s next generation inspection technology, offering up to five times more detection sensitivity than standard systems while using up to just a fifth of power. 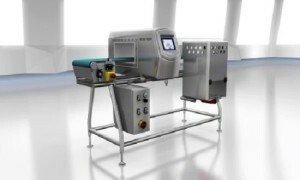 They can also perform product integrity checks without compromising the throughput rate and process efficiency. 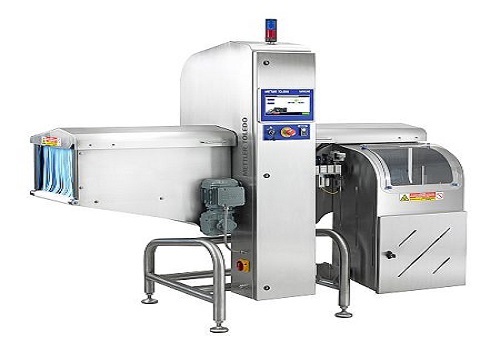 XS2 MV TE – Mettler-Toledo Garvens’ new checkweigher, a new pharmaceutical combination system, offering serialisation mark and vision, tamper evident sealing and checkweighing in one fully enclosed unit. It meets the pharmaceutical industry’s growing demand for easier line clearance and faster product changeovers. C3000 System – a modular checkweighing platform with advanced stability that offers improved weighing accuracy and high throughput rates of up to 600 products per minute, 33% higher than standard systems. V6300 – vision inspection technology from Mettler-Toledo CI-Vision which is designed to combine thorough inspection with maximum production throughput. The technology supports up to five cameras and has powerful software that can perform multiple inspections of a target package simultaneously. Mosaic Series – a quality control solution for the fast, accurate inspection of labels on round, un-oriented products. Its high detection sensitivity allows producers to reduce the number of false rejections caused by faulty calibration and poor image quality, while easy set up reduces downtime. CV3770 – a new system that combines the benefits of the C3000 System series of checkweighers with the latest vision inspection technology. It has been designed specifically for the consumer product industry to ensure correct labelling of packs of varying widths and heights at high throughput rates. Shipping Case Station 3.0 (SCS) – a new version of SCS that allows pharmaceutical companies to optimise their track and trace management. It supports the aggregation of shipping cases within the Track & Trace process, facilitating transparency, and registers all information in an external database. ProdX data management software – allows for the integrated management of x-ray inspection, metal detection and checkweighing technologies, connecting data from multiple systems. It enables central monitoring from any location for new levels of data transparency and accessibility, improved process efficiency and faster response times. Caption 1: The new Profile Advantage metal detector offers 50 per cent greater detection sensitivity than standard systems. Caption 2: The C3000 System checkweighing platform offers improved weighing accuracy and high throughput rates of up to 600 products per minute.